You’d think Black superheroes would seem out of place in a country (and by proxy a world) living under a Trump regime. But instead, Black superheroes are experiencing a renaissance of sorts. Three major Black superhero-led entertainment vehicles have captured the public’s attention within the last year or so. And together they are important because, in their own way, each of these shows represents their own form of resistance. Just a week before the 2016 election, Marvel’s Luke Cage debuted its first season on Netflix. 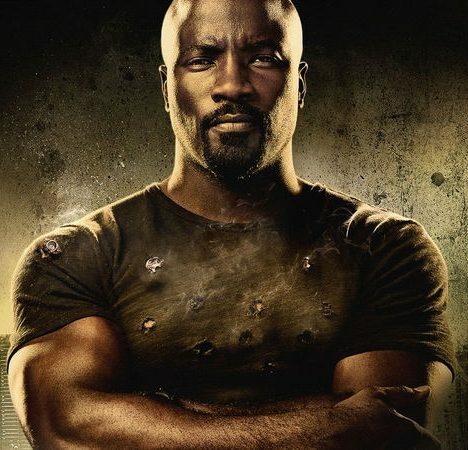 It wasn’t Mike Colter’s first appearance as the Black hero from Harlem (he first showed up in Marvel’s Jessica Jones a year before), but his series was largely a departure from the prior Marvel shows Netflix hosted. Cage was about a Black man who gained his superpowers from being subjected to illegal experimentation while in prison under a false conviction. And he didn’t fight villains for glory or fame. He fought to keep the streets of his city, Harlem, safe. Many of us rallied around the image of this iconic character. His bulletproof skin and concern for his community symbolized the enduring strength of a people who prosper despite centuries of adversity. And the show itself was a vision of Black excellence. Its cast included heavy hitters like Alfre Woodard and Mahershala Ali and using hip-hop music as a backdrop. Much of the same can be said about Marvel’s forthcoming Black Panther. 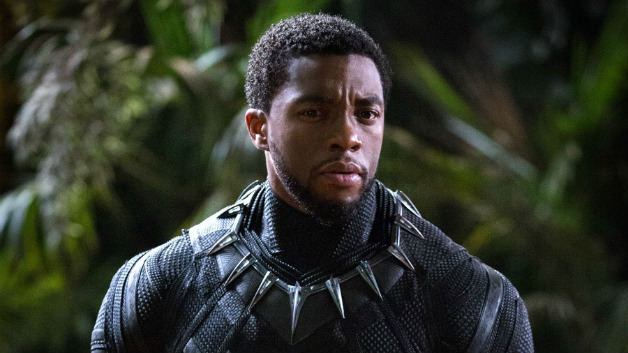 Chadwick Boseman’s T’Challa was first introduced in Captain America: Civil War, stealing scenes and setting the stage for his own blockbuster. And building off of that performance, the anticipation is high for Black Panther, with the film already breaking records for the highest first-day presale tickets of any Marvel Cinematic Universe (MCU) movie, beating out the aforementioned Captain America: Civil War. The film is a veritable “who’s who” of Black Hollywood, featuring the likes of Lupita Nyongo, Angela Bassett, Forest Whitaker, and Michael B. Jordan. And Creed and Fruitvale Station director Ryan Coogler is helming this one too. But most important is the symbolism that this film holds. T’Challa is the king of a prosperous African nation, the most prosperous and technologically advanced nation in the world. And his prime directive, above all others, is to defend the nation of Wakanda and its people. Black Panther represents the best of us, the pinnacle of what African diasporic people could be without Western intervention. And in a world where white supremacy can seem like an unconquerable foe, Black Panther personifies overcoming its institution. 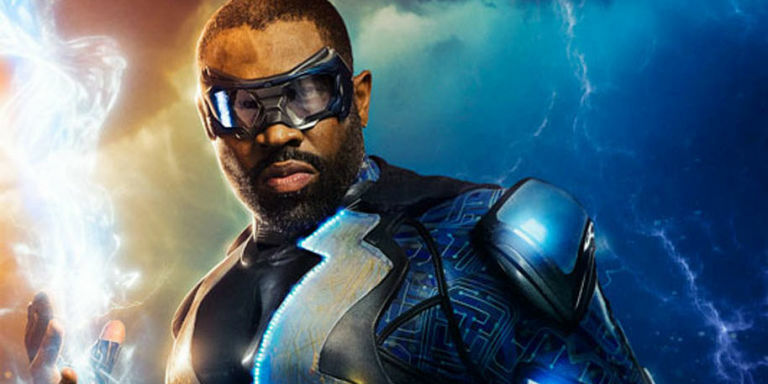 Compare that to The CW’s newest superhero show Black Lightning. Based from the DC Comics book of the same name and from the minds of Mara Brock Akil and Salim Akil, Black Lightning follows Jefferson Pierce, a former superhero who hung up his tights to protect his family and transitioned into a role as a school principal. But a rising tide of gang activity, a direct threat to his daughters, and an uptick in the police force harassing civilians has brought him out of retirement. And that is what sets Black Lightning apart. He fights for justice. And his brand of justice could require busting up a gang stronghold or lighting up law officers that might stand in his way. Black Lightning is for his community. He’s for empowerment. He’s for protecting those who cannot protect themselves. And that message seems to be resonating with audiences. It was the CW’s highest-rated new series premiere in two years, clocking 2.3 million viewers and a 0.8 rating in adults 18-49 (Live+same day). The interest is there. Just like there was for Luke Cage and just like there is for Black Panther. What ties each of these disparate stories together, from across different locales and comic brands, are the core themes of solidarity, community, and ownership. These heroes don’t fight for everyone. They don’t fight for “truth, justice, and the American way”. They’re not even out to stop crime and injustice wherever they live. These Black superheroes are fighting for their own people. They stand for community uplift and prosperity. And in that sense, they are more than just heroes. They are Black ideals personified and superpowered for the sake of Black people. It’s nearly impossible to quantify how important it is that we be able to see people that look like us in entertainment, but the concept and image of a Black superhero is something special and unique. My only wish is that in writing this, I wasn’t talking only about Black men. The Black community, like the world at large, has a deep problem with patriarchy. And that problem crops up here in the superhero world as well, as strong Black women are relegated to supporting roles, even when they have superpowers themselves. It’s proof that even in the radicalism of their existence, there is still work to be done. Before these properties, heroes like Captain America or Superman, white and/or American patriot archetypes whose main goals were to protect the innocent and be a universal symbol of greatness, dominated the superhero world. They didn’t service specific communities or hold special meaning for certain people. They were heroes for everyone. 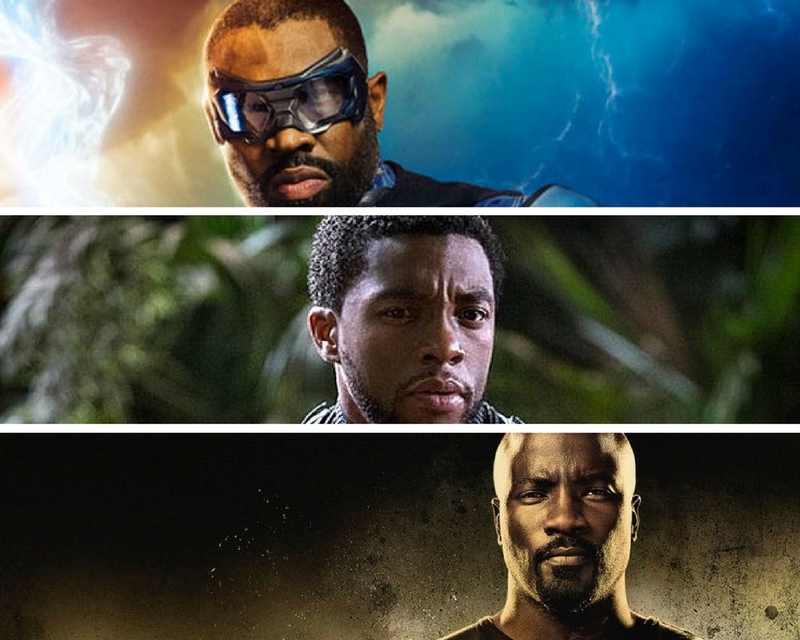 Luke Cage, Black Panther, and Black Lightning are heroes for us. This is a radical concept that many would have had us believe would be not starters amongst mainstream entertainment. But here they are thriving. Next story On being Black, being disposed of, and seeking status.